Dr. Alex John completed his graduation and post-graduation in Internal Medicine, from Calicut Govt. Medical College in 1999. Since then he worked in various multispecialty hospitals in Calicut, including the well-known Baby Memorial Hospital. 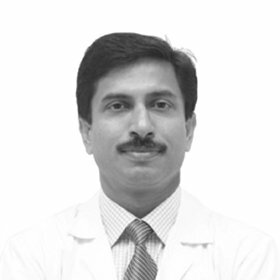 Dr. Alex moved to Dubai in 2002 and is working in Alnoor polyclinic, Deira as an Internist. He had made presentations and publications in various medical forums. He takes care of the general medical needs of the patient, including disease prevention, early detection of disease, screening and management of chronic conditions and illnesses. He manages Diabetes, Hypertension, Dyslipidemia and other life style diseases on a regular basis. He is proficient in managing undifferentiated and multisystem disease processes.